Pre-MAT classes provide background reviews in Mathematics, Reading and Writing (English). Students who have taken but have not passed the ACCUPLACER exam are encouraged to participate in the Pre-MAT classes. These classes are perfect for students who need to review concepts but do not need to take a full class. Pre- MAT classes are scheduled for four (4) week sessions and occur on multiple days throughout the week at various start times. Open-lab or individualized tutoring is also available as part of the Pre-MAT classes. Click the "Register Now" button to pick a schedule that meets your needs. 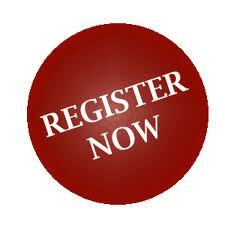 Click here or on the "Register Now" button above. If a certificate warning appears, click "Continue to this website." On the left side menu, click "Add New Account" and provide the information reqested. You only need to include the information that has a asterick symbol. You are not required to add personal information such as birthday and gender. Click "Create Account" after providing information. On the right menu, click "Look up courses by Group" and select ACCUPLACER Exam Class (Pre-MAT). Select a Pre-MAT class at a day and time of choice. At the end of the registration process, you will be requested to pay the $89 fee for the class with a credit card. If you have further questions, please contact Frances Atwater at 678-623-1281 or premat@atlm.edu. The Pre-Matriculation courses prepare incoming students for the rigors of the ACCUPLACER Exam, AMSC’s admissions placement exam. The Pre-MAT classes, taught by college instructors, provide a background review in mathematics, reading, and writing, and pro-vide potential students with the best possible opportunity for a high score. The Pre-MAT classes’s low cost of $89.00 covers everything: ACCUPLACER Exam fee ($20), access to computerized practice exercises, and password access to internet audio/video tutoring. Pre-MAT classes take place over a 4-week period, occuring mornings, afternoons, and evenings, making them convenient for a variety of schedules. Workshops are geared towards a student’s specific learning style. Students only study what they need. Workshop participants typically pass the ACCUPLACER at high rates.. Incoming students who score well on the ACCUPLACER test are exempt from Learning Support courses, thereby improving information retention, shortening the path to graduation, and saving on school costs. Open-lab and ‘one-on-one’ tutoring is included with the workshop fee at no additional charge.